Predicting the outcome of matches in the Barclays Premier League is certainly not an easy thing to do by any stretch of the imagination. Even some of the most experienced experts and pundits in the field fail to correctly predict how a particular match or a set of fixtures is going to pan out over the course of a weekend in the Premier League. 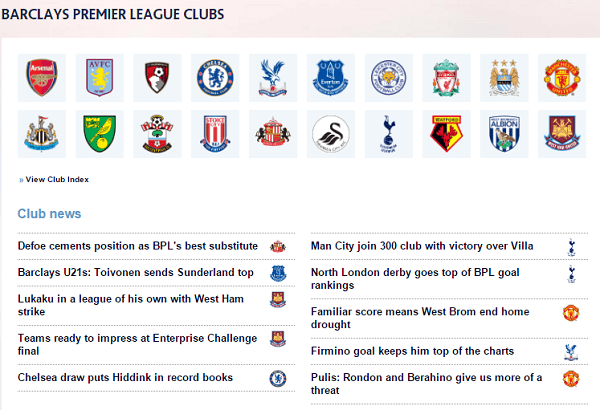 The unpredictability of the Premier League has been best demonstrated this season. Out of all the teams that could have had a position in the top four, it is Leicester City that has booked a Champions League spot as Christmas draws nearer. No one in their wildest imaginations could have guessed that Leicester would have been so high up in the table at this stage of the competition. What is even more astonishing is the unbelievable performance of the team’s prolific striker, Jamie Vardy, who has taken the Premier League by storm by his incessant onslaught of goals. The man simply can’t stop scoring and now sits at the top of the Premier League scorer’s charts ahead of more well known and established strikers such as Sergio Aguero, Harry Kane, Olivier Giroud, Diego Costa and Wayne Rooney. 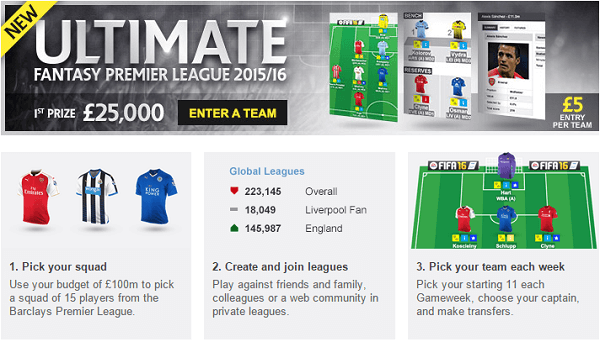 Given the unpredictability of the Premier League, it is safe to assume that playing Barclays Fantasy Premier League can turn out to be a roller coaster ride for many contestants. You really need to have great vision and insight into the game to succeed here. Just looking at the statistics and choosing the best team on paper is not enough to get you across the line. The values that are assigned to the players in Barclays Fantasy Premier League are usually based on their performance of the previous season. For instance, if Yaya Toure has an incredible price tag on him, it is probably because he had a series of outstanding performances the season before. Just because a player was able to stand out in the last season does not mean that he will put in a similar performance this year around as well. This is why it is so important to carefully analyze and scrutinize the abilities and application of ability of each player in your team before preparing a complete squad ahead of a match day in the Barclays Premier League. Not everybody has the time to be an analyst. As mentioned before, even the experts often get their predictions completely wrong, which means that the ordinary fantasy football player has slim chances of accurately predicting how a particular player will perform on the field on any given day. Analyzing the players is sometimes not enough. What you need is a change of perspective to refresh your thought process and rejuvenate the think tank in your head. Experts could be wrong, but they always know much more about the game than the general masses. Taking the advice of experts can give you the competitive edge that you need to come out on top after a weekend of matches in the Barclays Premier League. You are not going to have wonderful week every single day, but you can sure hope to have a handful of high scoring weeks throughout the season to propel your overall score. 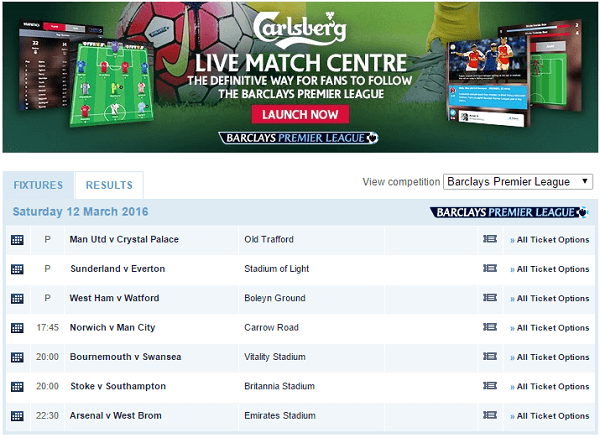 The Barclays Fantasy Premier League is an extremely competitive atmosphere. Random selection of players will definitely not do you any good. You need to look for tips that can really help your cause and improve your score. The following are tips for the upcoming weeks in the Barclays Premier League that you can use to take your score to the next level during the Christmas and New Year’s period. Hugo Lloris, in whatever small time he has spent in the Premier League, has already established himself as one of the best goalies to have played for Tottenham Hotspurs. He has at the top of his game all throughout the season and could be looking for back to back clean sheets this weekend when Spurs face West Bromwich Albion. West Brom are the kind of the team that like to create plenty of chances. This gives Lloris a lot of opportunities to make crucial saves and rack up important points for your Barclays Fantasy Premier League team. Given the surprisingly horrendous form that Chelsea have been so far in the 2015-2016 Barclays Premier League, it come as no surprise that most people have kept their teams clear of any Chelsea players, including Cesar Azpilicueta. His fall from grace has been similar to that of so many Chelsea players this season, but it seems like things are about to change for the men in blues. In recent times, they have picked up a couple of wins and a decent draw against Spurs, which means that the likes of Azpilicueta will be hungry to keep up the good form and get Chelsea back to the top half of the table. Since he is the kind of player who likes going forward, he is likely to create a lot of chances for Diego Costa and Eden Hazard. There is also the possibility of him partnering up with Kurt Zouma and John Terry to form an impenetrable defence this weekend against the struggling Bournemouth. Liverpool, much like Chelsea, were unable to get off to a flying start in the campaign. In fact, they had been quite mediocre under Brendan Rogers, but all of that changed since the appointment of the charismatic Jurgen Klopp who has won over the hearts of the Anfield faithful. Liverpool are on a roll and it would be wise to trade in a Liverpool player in your team in the Barclays Fantasy Premier League. You are advised to pick Roberto Firmino because he seems to be the go to goal scorer for Jurgen Klopp.